Martin Blainey and his family have owned the club since moving from Hertfordshire to the Billingbear in 1996 and it is one of the oldest 9-hole courses in Berkshire, dating back to Victorian times. It was ploughed for the planting of cereals during WW1 and WW2, before being reinstated as a golf course to a design by Dr Martin Hawtree in 1989. Martin and Jacquie Blainey are now semi-retired and their son Greg and daughter Laura are now responsible for day-to-day operations. 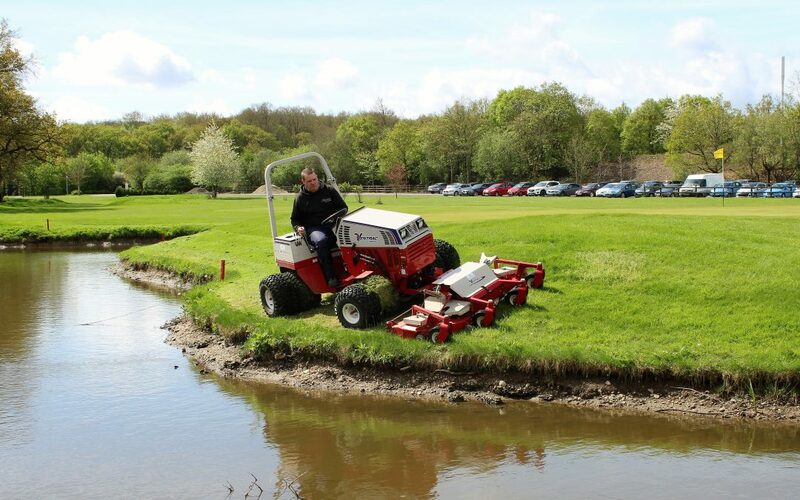 Commenting on the Club’s latest purchase Martin Blainey said, “I’m good friends with Chris Brook, the respected courses manager at The Club Company, who has just purchased a couple of Ventracs for his operation. He has been very impressed with the versatility of the machines and recommended it to me. “We initially purchased it with the Contour deck, which we are using on the semi-rough and surrounds, but have every intention of adding further attachments over time. The safety it offers around the banks of the lakes and the stability when we’re mowing the banking that separates us from M4 motorway, is superb. Our next purchase will probably be the Trencher, which will help us when we come to upgrade our irrigation system or run power cables to other areas on site. The Club operates on a Pay and Play basis and has a healthy number of members. The Old Course consists of nine full size holes with two alternate tees per hole, enabling 18-holes to be played. There is also a 9-hole, par 3 course, aptly named as the New Course. There are two lakes on the complex and water features on several holes on both courses. Although a relatively new dealer, GA Groundcare, through owner Ashley Stevens and sales manager Alun Wright, have a long association with the Blaineys and Billingbear Park. Over the past 20 years they have provided a range of equipment for the business when they both worked for their previous employer in the area.